Get some fresh air and escape the bustle of the big city with a visit to Parc de Montjuic, a sprawling green area featuring well-maintained gardens, cultural attractions, and sports venues. Covering the slopes of a hill that overlooks the port of Barcelona, the park hosted its first events during the 1929 World’s Fair. Today, the area is home to several museums, housed inside some of the city’s finest examples of modern architecture. The top of the hill, which is 185 m (607 ft) high, was the site of several military fortifications, and a castle dated to about 1640 still stands there today. Stop by to photograph the sprawling city and relax with a leisurely stroll, or enjoy fine art and exquisite architecture at one of the museums. 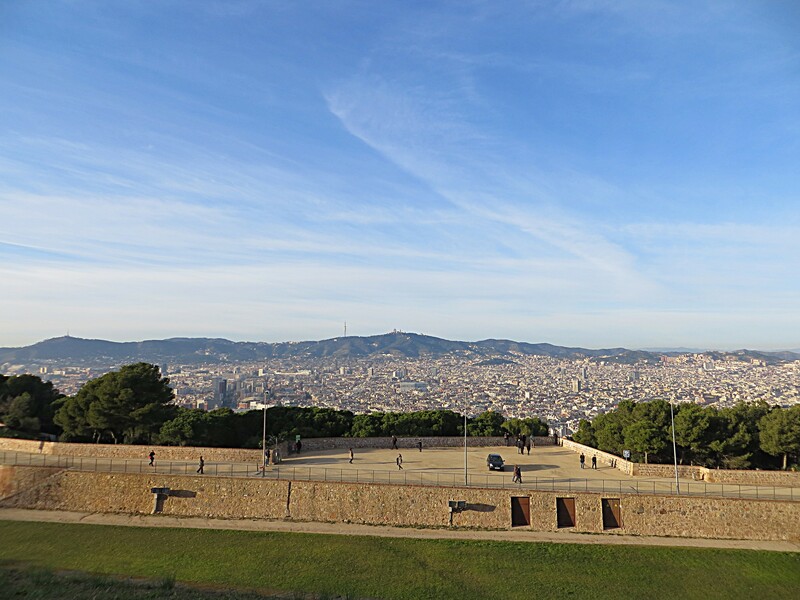 Put Parc de Montjuic at the forefront of your travel plans using our Barcelona itinerary builder . Montjuïc Park is a great place to walk around and see some monuments in Barcelona like a magic fountain, and the city is very beautiful. You should be able to walk because it rises considerably. It is across a mountain in Park, the mountain of Montjuïc overlooking the 02.04.2012.Spanish sea and the port has buses city bus service tour funicular and cable car. It has different areas better cared for other "viewpoint of the Mayor" qye Lakes with good views of "Jardin Mosen Costa i Llovera" of bulbous plants, Botanical Garden next to the athletics and football stadium Palau Sant Jordi Pavilion multidiciplinar for events deportivis or musical this realization or remodeling for the Olympics that took place in this city of Barcelona. Ultimately a great extensive place that makes lung ciudas lastina which in many areas are missing care gardening cleaning and security hope that future again be as before was.